Pastor Michael Feldmann (goes by Pastor Mike), his wife Jessica, and two children, Faith & Heath, came to Salem Lutheran Church in October of 2017 from Grace Lutheran Church, Wayne, Nebraska. Mike graduated from Concordia Seminary, St. Louis, Missouri in 2011 with his Master of Divinity degree. Jessica graduated from Concordia Seminary, St. Louis in 2010 with a Certificate of Deaconess Studies. Mike thoroughly enjoys preaching, teaching, visiting with people, and working with youth of all ages. 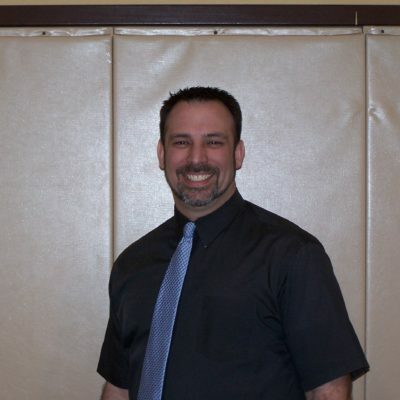 In his spare time, Mike enjoys spending time with his family, cooking, woodworking, bowling, working outside in the yard, and cheering on the St. Louis Blues, Chicago Bears, and his lifelong beloved Chicago Cubs.